Main Street in Bodie was bragged to be nearly 1 mile long! 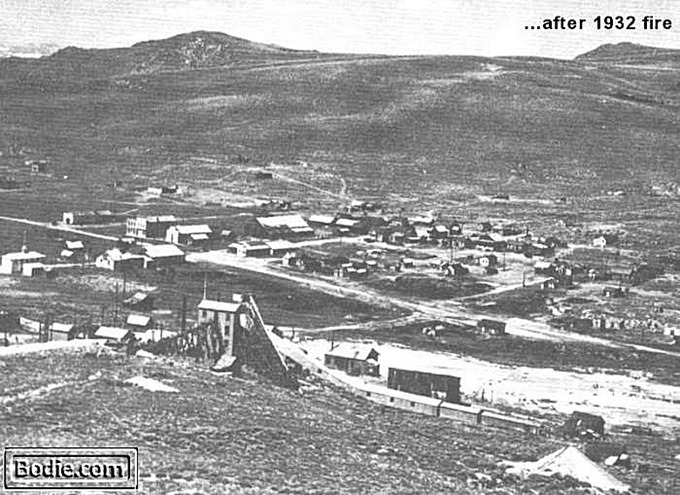 That was before a large fire in 1892 that wiped out a significant portion of the town. 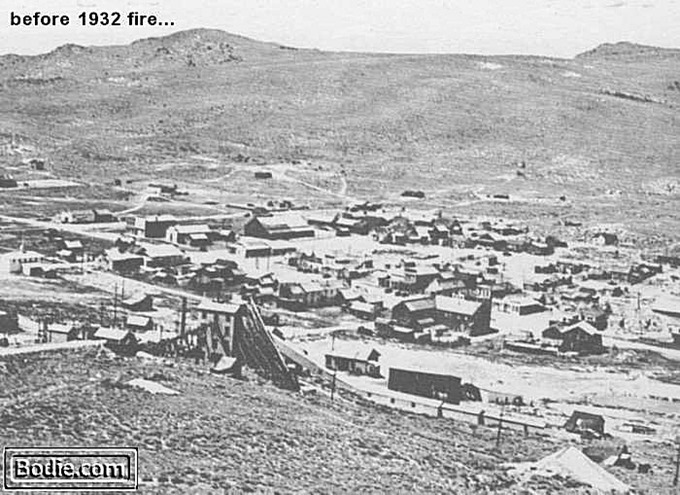 In 1932, another devastating fire left Bodie pretty much the way you see it today. Approximately 100 structures are still standing, which includes everything from the small out-house structures to the giant Standard Mill. Most of the buildings are closed for the protection of the visitors. Although the structures are safe from falling over, they have a lot of exposed nails, old floorboards, broken glass and other safety hazards. The difference between “preservation” and “restoration” is what makes Bodie special. Many historic towns around the country are still ‘alive’ and are actively used. In those cases “restoration” is important so that the buildings are safe for daily use. “Preservation” for Bodie means that the buildings are maintained in the state in which they were received in 1962 when California took over the property as a State Historic Park. While the State needs to protect and preserve Bodie, funding for State Parks has been greatly reduced year after year. Bodie is one of the few parks in the system that can’t simply “wait” for funding. Volunteers and donations are needed to continue educating the public, working at the park in the summer months and supportingThe Bodie Foundation, the non-profit organization that works with the State. Below are two photographs taken from similar viewpoints above the Standard Mill sometime before and after the 1932 fire. Move the slider side-to-side to see how much was lost.. Take note of the large building just to the right-of-center on the corner lot. That was the U. S. Hotel.